REMODELED CUSTOM BEAUTY in prime location on Scottsdale Greenbelt (biking/walking path) & across street from all the amenities of the 100 acre Chaparral Park (w/ beautiful lake & dog park)! View of Camelback Mountain from balconies, & steps to 2nd community spa overlooking greenbelt! Owner had planned to move in, so unit was HIGHLY UPGRADED & CUSTOMIZED! EVERYTHING inside is NEW! Kitchen wall above sink removed to create expansive open concept. 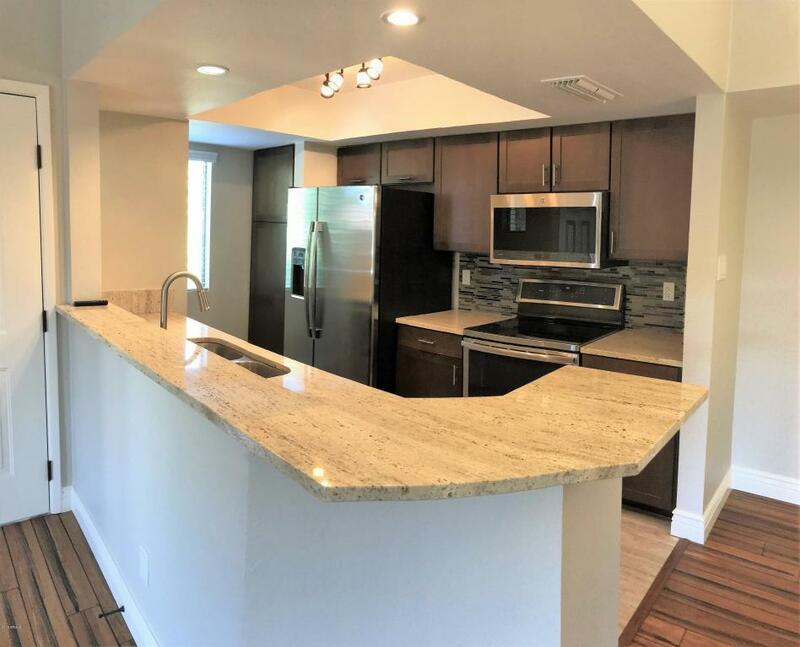 Solid bamboo flooring, 5'' baseboards, custom-built shaker cabinets w/ pull-outs & soft-close drawers, premium granite, GE Profile appliances, new interior doors, stone finished fireplace, dimmer switches. Redesigned master suite w/ dual raised vanities, huge walk-in closet, oversized custom shower & spacious corner cabinets. Multi-zone HVAC system.